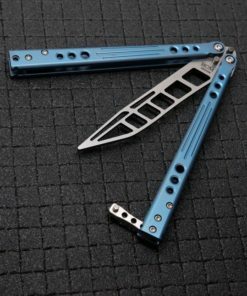 The Prodigy Trainer (Mod.B) is a full-featured premium production balisong trainer that has been significantly overhauled for 2018. 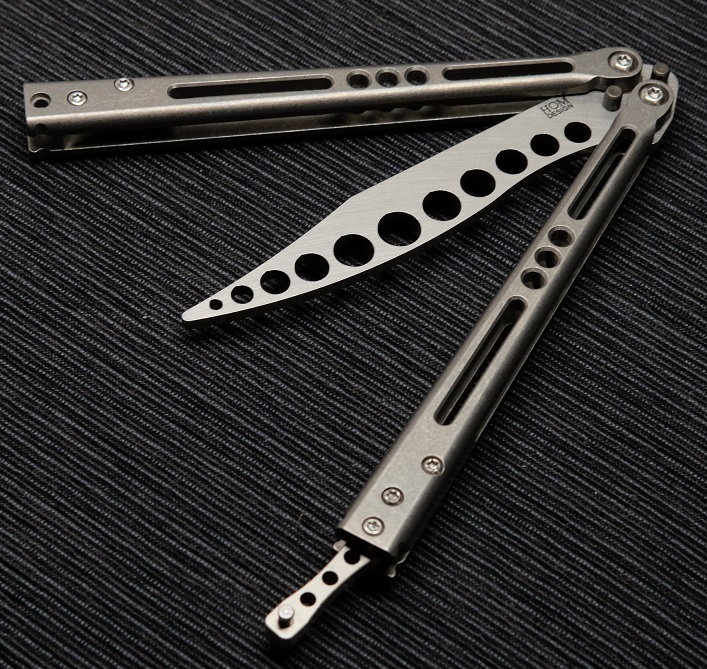 This includes CNC machined 6AL4V titanium handles that has been newly finished in a durable stonewash, paired with an upgraded 154CM hardened stainless blade that has been lightened from the original. To match the lightened blade, the spacers and latch have been upgraded from stainless steel to titanium. 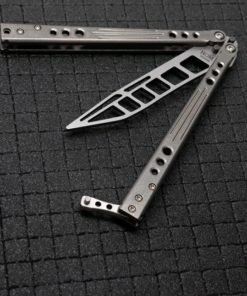 The Prodigy Trainer (Mod.B) is a full-featured premium production balisong trainer that has been significantly overhauled for 2018. 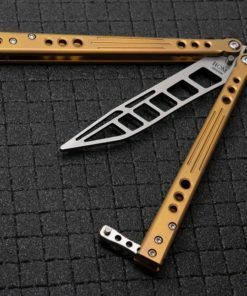 Unlike most available trainers, the Prodigy Trainer has all the features of a high quality production balisong! 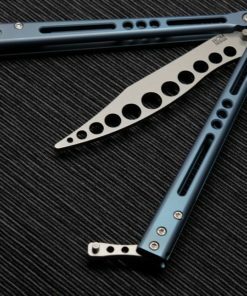 This includes CNC machined 6AL4V titanium handles that has been newly finished in a durable stonewash, paired with an upgraded 154CM hardened stainless blade that has been lightened from the original. To match the lightened blade, the spacers and latch have been upgraded from stainless steel to titanium. 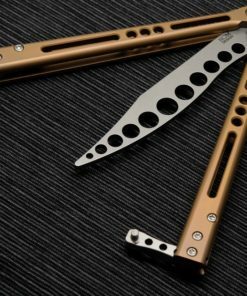 The Prodigy Mod.B continues to feature a precision tuned bushing system and is supremely balanced to practice complicated techniques using a premium balisong without the risk of contacting a sharp cutting edge or tip.